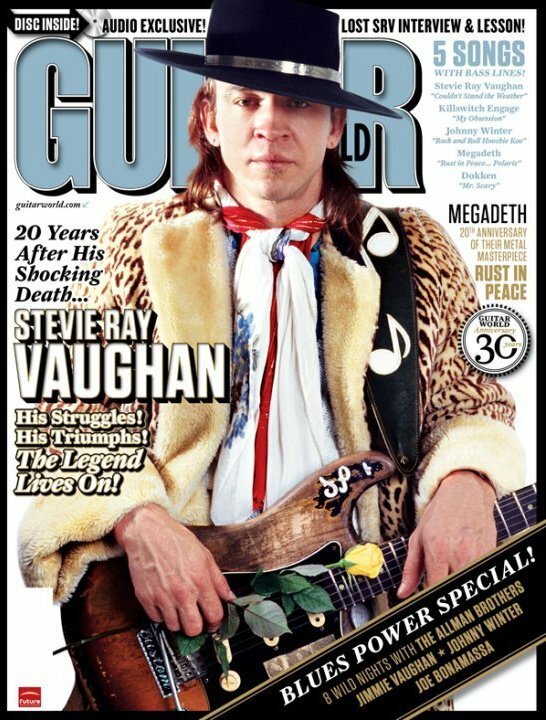 In case you missed it, SRV was on the cover of the May issue of Guitar World. Take a look. 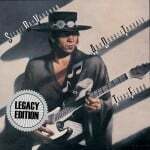 COULDN’T STAND THE WEATHER: LEGACY EDITION commemorates the 20th anniversary year of the passing of legendary guitarist Stevie Ray Vaughan. 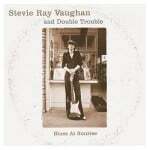 It revisits the commercial breakthrough of the second album by Stevie Ray Vaughan and Double Trouble. Released in May of 1984, it was their first LP to earn RIAA gold certification, and their first platinum-seller as well. 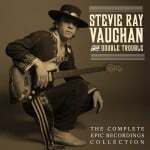 The first entry by Stevie Ray Vaughan and Double Trouble in the prestigious Legacy Edition series of multi-disc packages, COULDN’T STAND THE WEATHER: LEGACY EDITION will be available as a two-CD set at all physical and digital retail outlets starting July 27th through Epic/Legacy, a division of SONY MUSIC ENTERTAINMENT. 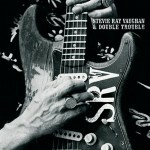 The recently-launched SRVOfficial.com is now the #1 destination for news and merchandise related to Stevie Ray Vaughan. 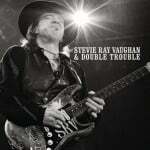 The site also features exclusive video content, a photo gallery, fan forum, and information on new and forthcoming catalog releases from Stevie Ray Vaughan and Double Trouble through Epic/Legacy. “Disc two premieres a previously unreleased live concert captured three month’s after the original LP’s release, from August 17, 1984, at The Spectrum in Montreal, Canada. The band played two sets that night and this disc captures selections from the late show. Featured are a mix of songs from the just-released Couldn’t Stand the Weather (among them “Voodoo Child (Slight Return)”), plus tunes from the 1983 Texas Flood debut. As with every title in the Legacy Edition series, the booklet contains a comprehensive liner notes essay written by an acknowledged expert. Andy Aledort, associate editor of Guitar World magazine, is a blues-rock maven and accomplished guitarist in his own right. He has authored more than a dozen guitar instruction books on trailblazers like Hendrix, Van Halen, Joe Satriani, Jeff Healey and others; and annotated CDs on Buddy Guy, Johnny Winter, Dickey Betts and more. 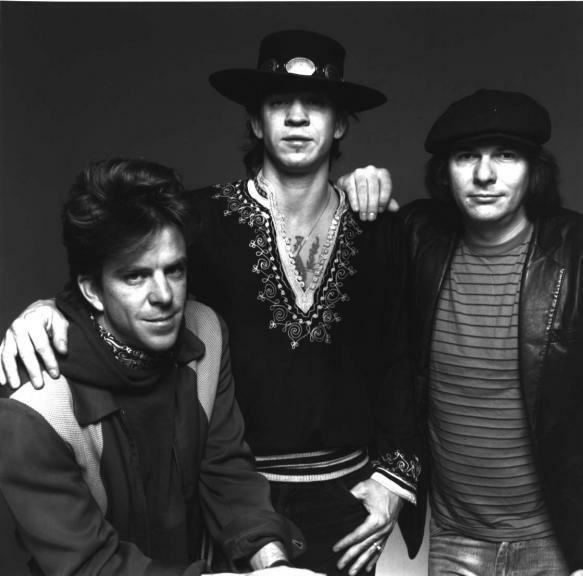 Aledort has been covering Stevie Ray’s career since his arrival at Epic Records in the summer of 1983, and has written liner notes for several of his Epic/Legacy releases, including the four-disc box set SRV (2000); The Essential Stevie Ray Vaughan (2002); The Real Deal: Greatest Hits, Vol. 1 (2006); and Solos, Sessions & Encores (2007). 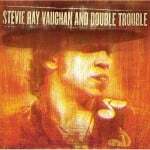 Following their less-than auspicious first appearance at the Montreux Jazz and International Music Festival in July 1982 (arranged by famed record legend Jerry Wexler, and chronicled on 2001’s double-CD Live At Montreux 1982 & 1985), Stevie Ray Vaughan and Double Trouble returned home and found another champion, John Hammond. 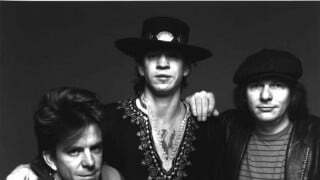 Stevie Ray was the legendary talent scout and A&R man’s last great ‘discovery’ in a long line that included Count Basie, Billie Holiday, Charlie Christian, Aretha Franklin, Bob Dylan, and Bruce Springsteen, to name a few. As history goes, Texas Flood was recorded in two days in Los Angeles, with production supervised by recording engineer Richard Mullen (a Texas friend who worked on virtually every SRV&DT studio and live session through 1989). Hammond, the executive producer was not present. But when the sessions moved to New York in January for the second album, the band had the distinction of working in the studio with Hammond, on his last major commercial album production prior to his death in 1987. The bonus track studio outtakes on disc one add a new perspective to the band’s chronology at this early stage, starting with Stevie’s original, “Empty Arms,” one of several tracks here from the first posthumous SRV collection, 1991’s Grammy Award-winning The Sky Is Crying. Hank Ballard & the Midnighters’ “Look At Little Sister” and New Orleans blues man Earl King’s standard “Come On” (covered by Hendrix on Electric Ladyland) showed up in different versions on SRV&DT’s next album, 1985’s Soul To Soul. They had performed Freddie King’s “Hide Away” and Hound Dog Taylor’s “Give Me Back My Wig” at shows (cf. Live At Montreux 1982 & 1985), but neither song would ever show up on one of their albums during Stevie Ray’s lifetime. 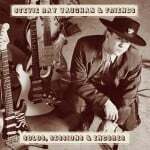 The previously unreleased versions here of “Boot Hill” and Elmore James’ “The Sky Is Crying” are different than those heard on The Sky Is Crying. 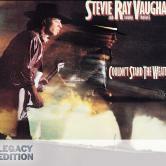 In addition to “Empty Arms,” that album contained a number of tracks from the January 1984 sessions, including covers of Lonnie Mack’s “Wham!,” Hendrix’s “Little Wing” and Willie Dixon’s “Close To You.” Disc one comes to a close with a previously unreleased alternate take of the short instrumental, “Stang’s Swang” – compare it to the version that closes the original Couldn’t Stand The Weather album and it’s evident this version strips away the saxophone. Disc Two (recorded live at The Spectrum, Montreal, Canada, August 17, 1984 (late show) Selections: 1. Testify • 2. Voodoo Child (Slight Return) • 3. The Things (That) I Used To Do • 4. Honey Bee • 5. Couldn’t Stand The Weather • 6. Cold Shot • 7. Tin Pan Alley (aka Roughest Place In Town) • 8. Love Struck Baby • 9. Texas Flood • 10. Band Intros • 11. Stang’s Swang • 12. Lenny • 13. Pride And Joy. 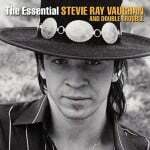 Couldn’t Stand The Weather (Legacy Edition) is a newly designed doubledisc package that expands on the original release to include an incredible 16 previously unreleased tracks: disc one offers three newly-discovered studio outtakes; disc two is comprised of the explosive August 17, 1984 live performance of SRV & DT at the Spectrum in Montreal, Canada. “Day By Day, Night After Night” by Craig Hopkins is about the life of Stevie Ray Vaughan that you have never read before. The book explores where this musical genius came from, how he became successful, what he experienced along the way, the recollections of those who were closest to Stevie, his dramatic recovery from near-fatal addictions, stories from the band’s life on the road and in the studio which is all illustrated in a way that has never been done before and likely never will be again. 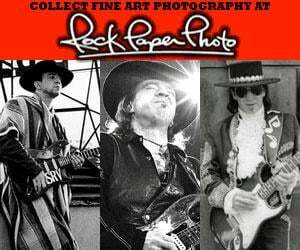 The book also includes almost one thousand of the most historic and artistic photos of Stevie Ray Vaughan’s life which range from family photos to candid shots while on tour. The book has been published in chronological order so that you may follow in the day by day footsteps of the great Stevie Ray Vaughan on his way to fame. Interviews with Stevie’s family and band members give us a more intimate portrait of the life behind the fame from his alcohol and substance addiction to his tough road to recovery. Hopkins has composed the ultimate biographical masterpiece of the great Stevie Ray Vaughan. You do not have to be a fan of Stevie to appreciate the genius and creative execution that has been put into this book. 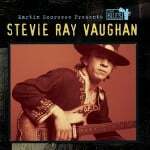 Each and every person that has inspired and encouraged Stevie throughout his life, from his family, friends, band mates, business associates and hundreds of fans have all been included into this compilation of Stevie Ray Vaughan’s life. Each book cost $75 and is a limited edition run of only 3200 copies. 1000 of them have been signed by Craig Hopkins and over 50% of the books have already been sold. Welcome to SRVOFFICIAL.com. The home of Stevie Ray Vaughan and his fans. Welcome and please say hello in the forums!